Tuesday morning Robert Bliss called to say we had lost Anna. Hard to believe the irrepressible, irreplaceable artist, as well known for her shrewd mind as for her impeccable color sense and the art that manifested it (often accomplished with computers before most of the world knew they existed) would no longer share her deep and far-reaching thoughts with us. A memorial Mass will be held 11 a.m. Thursday at the Cathedral of the Madeleine, 331 E. South Temple, Salt Lake City. 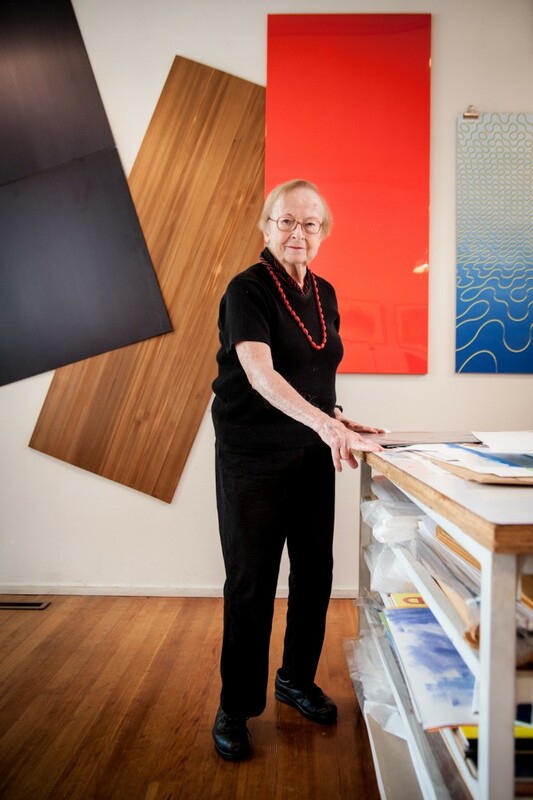 Anna Campbell Bliss in her studio, 2012. Photo by Zoe Rodriguez. In a career spanning more than six decades, Anna Campbell Bliss has created a large body of work, from which “intersection” has consistently emerged as a theme. In concept and in style, Bliss’s artwork draws upon mathematics, science, architecture, calligraphy, choreography, computer technology, color theory, pattern, and form. In sum, it is smart work, thinking work, work that emerges at the plane where disciplines intersect and that requires both a visual and intellectual engagement from the viewer. Of this intersection, Bliss says, “I approach art as exploration. I seek connections between nature and constructed environments, poetry, and math. Use of the computer must be balanced with the more intuitive tradition of artistic expression. Often the most exciting ideas emerge at the intersection where more than one disciple meets.” Her life’s work, both within her studio and within the community, has been one of seeking out and building intersections, constructing sites of this particularly-balanced space where interests of more than one discipline lie, colliding in abstract angles and rich dialogue. Her interdisciplinary model was mirrored first in the community she and her husband, Robert Bliss, found at the Walker Art Center while living in Minneapolis, a city she described as, “a stimulating place” that was progressive in its interest in art and modernism. Scaling back further, Bauhaus pedagogical theories are ubiquitous with cross-discipline dialogues and comprehensive workshop, a school of thought which Anna had first-hand training. After earning a bachelor’s degree from Wellesley in art history and mathematics, she pursued a graduate degree in architecture from Harvard in the early 1950s. In her early design training, Bliss learned from pioneers of this seminal modernist movement, studying under Bauhaus giants such as Walter Gropius at Harvard and working with Gyorgy Kepes on color and light theory at MIT. In her film Arc of Light: A Portrait of Anna Campbell Bliss, Cid Collins Walker described Utah as a cultural desert – for Bliss, a site of cultural exile. While disparaging, this is perhaps true. Utah certainly did not offer the same modernist aristocracy that Cambridge played host to, but Bliss’ more recent comments are more optimistic than that of the film. She speaks of her efforts to look towards other disciplines within the state that were at the cutting edge of the field, most notably the University of Utah computer science department and Utah’s technology sector. “There were many talented people doing quite important work, in the very early stages of programming,” she says of Utah’s early tech world. Starting first with the Omega computer, Bliss said her interest was less about the equipment but more about an interest in a field ripe for exploration. Her experience with Utah’s tech community, therefore, softened her views of the state’s cultural potential. Her computer-based mural Windows, fittingly made for the Data Processing Center at the Utah State Capitol in 1989, integrates computer algorithms and was nominated and became a finalist for the Computer World Smithsonian Award and both Scientific American and Science magazines reviewed the work. According to art historian Katherine Metcalf Nelson, “Windows is a unique effort to bring the computer into the mainstream of art for a major mural. The computer was the inspiration, the subject matter and the major tool in creating the art. Textures and patterns with a mathematical base were programmed in the “C” language for plotting and transfer photographically to serigraph screen.” Such investments and investigations of technology as process, as medium, and as subject matter, are now quite commonplace, as the Utah Museum of Contemporary Art’s 2013 exhibition Analogital suggests. In addition to integrating technology, Bliss’ work reflects an intense interest in color theory, especially as framed by her mentor, Josef Albers (of whom her husband had been a student of at Black Mountain College) and his well-known Interactions of Color. But her color investigations aren’t simply derivative of Albers. Throughout her early work as an architect and while she was in grad school, architecture companies consistently hired Bliss as a consultant on large-scale architectural projects. While designing a building for the VA Hospital, she researched diligently to create a space that would help cultivate feelings of calm and peace for those WWII vets. While in Utah and after shifting her focus to painting from architecture, Bliss pursued areas that she felt Albers had yet to investigate. An example is Color/Light/Module, 1976 a twelve-foot tall 60-foot long screen print on wood panels. Such a monumental scale informs the work creating a totality of color in ones field of vision. Works like Trellis and Celebration take painting off the wall, off the pedestal, and into one’s physical space. In sum, they become architectural, creating an intersection between one discipline and another. Light of Grace, a 40 foot by 40 foot stain glass wall designed by Bliss for the St. Thomas Moore Catholic church in Sandy is perhaps the most monumental example of her interest in intersecting color and architecture. Using a grid like pattern, Bliss filled that church with an array of blues, greens, purples, and pinks, some of which filter directly towards the center alter, using color to create a sense of reverence, of devotion. It is Bliss modernizing Abbott Suger while simultaneously historicizing Albers. Not satisfied to simply make work, Bliss has also pursued her color interests into a larger discourse. She served on the Intersociety Color Council, an interdisciplinary committee that engaged various professionals that had some concern for color in their practices, including textile manufactures, photographers, paint manufactures, interior designers and, of course, architects. Additionally, throughout her career Bliss wrote several scholarly articles on the subject of color in a variety of publications including, Design Quarterly, Utah Architect, AIA Journal, Leonardo, The Designer and Color Research and Application. Given her scholarly background, Bliss’s mural for the Cowles Mathematics Building at the University of Utah represents a near complete threading together of the artist’s many intellectual intersections. Not only does the site itself reference her undergraduate degree in math but also the University of Utah itself reflects the adopted intellectual community. Much of the work was created on computers and was made from a variety of different materials, some aluminum plates, some hand painted, some etched by lasers and some silk screened — a multiplicity of voices emerging from a variety of techniques. Its mathematical subject matter is also multivocal: Fibonacci numbers, Babylonian sequences, Mayan sculptural numbers, Islamic calligraphy, Renaissance golden mean, Grecian classic ratios, dance, jazz compositions, Chinese triangles all combine to create a romantic ode to mathematics and a lovely self-portrait of the intellectual complexities and depth of vision possessed by Bliss. Another significant contribution of Bliss is her persistent legacy as an artist, continuing to create well past retirement age, doggedly pursuing an artistic vision for decades. 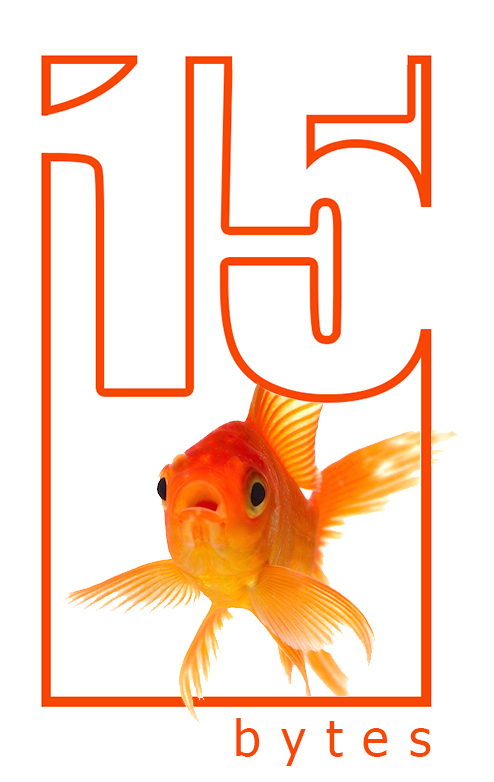 It is significant to note that Bliss was 64 years old when she received her first major commission, Windows. At the typical retirement age for most professionals, Bliss’s career as an artist had finally received substantial public recognition, her work had been acquired into major collections and she had the opportunity to appear in major exhibitions (the US Installation at the VII Biennial in San Paulo, Brazil in 1963 to name one), but Windows marked a major benchmark of accomplishment and contribution. Through the decades, she has continued to pursue opportunities that would allow her vision to reach its full scope and potential. Amazingly, at 89, she recently opened a show stocked full of new works. She is still working, still asking questions, still intersecting within the larger dialogue. In 2009, Bliss told art critic Ben Fulton, “I’m not interested in the literal. The unknown—pushing something beyond a boundary—is what draws me. That, and the challenge to myself to avoid the obvious.” If we are lucky, we will have the opportunity to watch her continue to do so for some time to come, and continue to learn from her how to avoid the obvious and to engage, interact, and intersect through dialogue and art production. Anna left her mark on me and many others with her keen mind, creative energy, steady hand, and community building spirit. She will be missed. Knowing Anna was a privilege. Her ongoing dedication to advancing her work, up until her last days is an inspiration to me. Anna was a board member of Repertory Dance Theatre, a donor and patron, and worked early on with the company experimenting with dance and movement as it related to her art. We will miss her. Anna Bliss carried with her, in her life and remarkable work, a remarkable understanding between the relationships of Art and Science. She was Cool, in the best sense of the word, cool in her work, her personal relationships, and always with a commanding style. She was also Tough in her philosophy and style. I was honored, several decades ago, to be invited to her Westside Studio, to talk with her, to see her ‘tools’, and to leave with one of her beautiful pieces, which to me, was a generous homage to Albers. It graced the walls of ENTELEKI – Architecture Planning & Research (now FFKR Architects), keeping a commanding eye on the office and staff. She has my deepest respect.